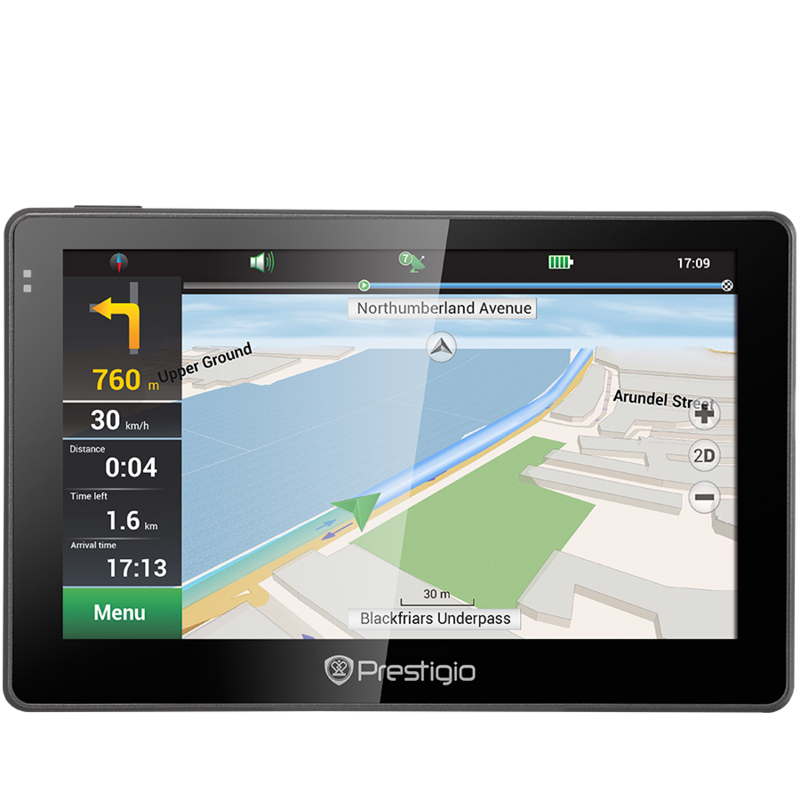 The Prestigio GeoVision 5057 successfully combines a stylish design and navigational comfort. Navitel navigation software, 3D maps, voice guidance and POI database will provide you with an easy journey whatever the destination. Accentuate and emphasise your vehicle's interior by choosing this stylish product for your daily trips. Navitel navigation software with outstanding 3D graphics. Visualisation of buildings and famous landmarks in 3D will make naviagtion easier than ever. The GeoVision 5057 included millions of POIs pre-loaded. View Points of Interest around you and save new ones on the way. Petrol station, hotels, shops, ATMs, tourist attractions and much more. Realistic junction views and lane instructions ensure that you make the right turn at the right time. GPS helps to prepare you for the next turn, displaying realistic 3D pictures to indicate your designated lane. A Smart search service will assist you to locate everything. Search for locations by address, crossing, nearest places, history or coordinates. Receive information on radars, video recording cameras and speed humps. Update the speed camera database via the internet.